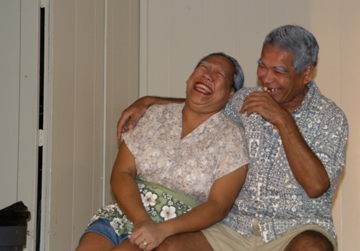 This one-act play in Pidgin is set in a house in Manoa Valley where an elderly couple is living its golden years. 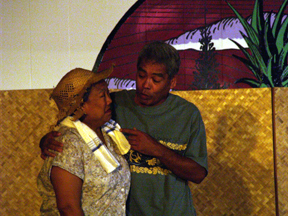 The play celebrates the apparently common man and woman next door and shares how uncommonly special they are. The actors bring the play to vibrant life, moving audiences to tears and laughter. 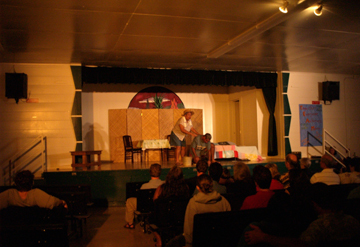 The play was followed by a talk-story session with the actors, stage manager, and playwright. 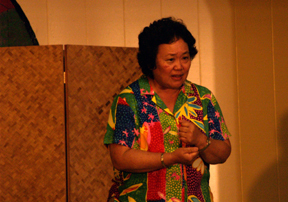 Lo'i Theater is committed to creating, developing and producing theater experiences that spark the imagination, challenge the mind, speak to the heart and nourish the soul. We share theater as a catalyst for exploring the human spirit and as a bridge for connecting people. 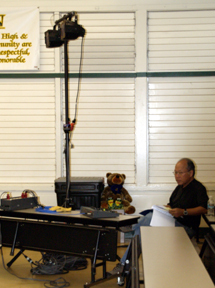 When visiting Honolulu, be sure to check for ongoing productions.